Now that we’re all fully rested up from last weekend, we’ve been able to reflect on the many special moments of the NU Hartford Marathon and Half Marathon. It’s an honor for us to hear about your PRs, goals attained and memories made. We love seeing your pictures and hearing the appreciation for all of the volunteers, without them last week’s events wouldn’t be possible. There were a few exceptionally special moments for us that we wanted to share here, just in case you missed it. “All that hard work paid off,” said Kevin Cloutier, student runner from Two Rivers Magnet Middle School. "You always can do more than you ever imagined, but you have to take the first step"
"In every single exhale, let go of the negativity"
All this happened before Saturday morning. The whirlwind that is race day produces some pretty amazing moments. A few that we caught Saturday are captured in photos below. 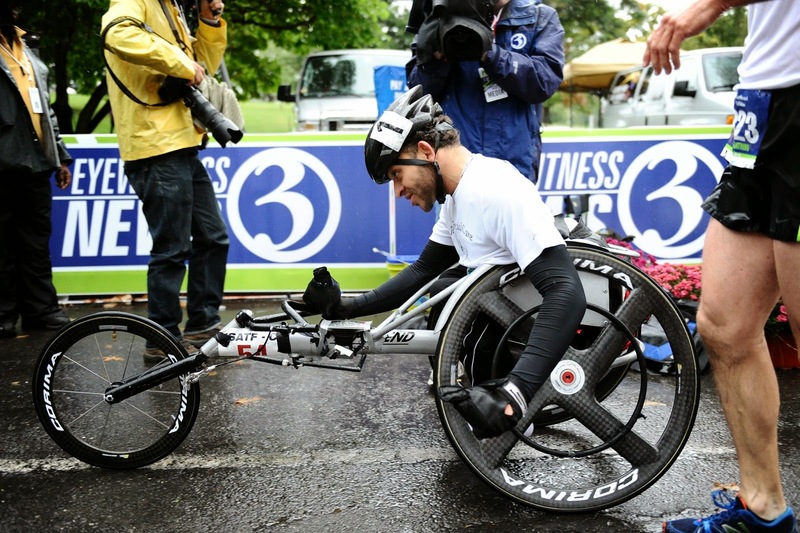 Thank you all for making the 21st running of the NU Hartford Marathon and Half Marathon another one to remember. We’ll see you out there again soon. NBC Connecticut before the race. disabled division with a time of 1:13:20.
as part of the HMF FitKids program on race day. Running for Camp Rising Sun this past weekend in the NU Hartford Marathon was absolutely one of the best feelings I have ever had while taking part in a marathon. To start last with about 15,000 half-marathon and marathon runners in front of me was a new challenge. I have been very fortunate to start at the front, if not on the line, of nearly every marathon I have ever raced. I was ill-prepared for the difference in speed that I had with the majority of the half-marathon runners. With about a 9 minute delay from the official starting time I embarked on a race that would let me face a different kind of wall. The bell curve of runners created a unique situation as I quickly romped past the thin line of walkers only to slam into the hoard of joggers and walkers that most would call mid-packers. Miles of runners stretched across the rain-soaked city streets. I watched my mile splits rise to 8 and 9 minutes during the first several miles as I weaved to the left and right through a kaleidoscope of runners. The drenching rain coupled with meandering runners made quick stops and fast turns a treacherous decision. The challenge of navigating up through the field should have been frustrating for this usual front runner. However the cheers from fans and friends for the charity propelled me to continue with my oft-times peregrinating jaunt. With each mile the crowd thinned. Despite my new tangential approach to the course, it became more difficult in the later miles to catch and pass increasingly faster runners. The early weaving had begun to take its toll on my legs. The weather seemed unrelenting and the crowds thinned during the most critical miles. I was now mostly alone to battle the storm inside and out. The wall of runners and now the wall of pain began to envelope my fog-filled skull. It was at this very moment near mile 22 that I could only think that the exact opposite should happen for children with cancer. They should be surrounded with love through their storms. That thought alone gave so much more purpose to pushing past every runner that I could. My wall was easily conquered as each runner was one more donation to the camp. 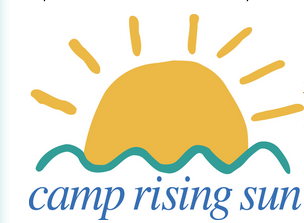 Camp Rising Sun is a place where children in active treatment for cancer or those in remission are surrounded by love and fun in a judgement free environment. The only cost to them is that they were stricken with disease and are in a race that they did not voluntarily choose to enter. As that thought pounded through my head with each of the passing miles I found myself closing in on the finish line. The crowds grew and thunderous cheers erupted as the announcer spoke to the crowd about the purpose of my 26.2 mile journey. I vaulted down the final mile passing 6 or 7 more runners. My journey was over but the journey for so many of the children at Camp Rising Sun is only beginning. We love food and we take the job of feeding runners very seriously! We are now catering to runner's food sensitivities, with gluten-free and lactose-free options in the Athlete Food Tent as well as gluten-free and vegetarian options at the Pasta Supper. The talented Chef Kevin Spada at The Hartford Club, host of tomorrow’s Pasta Supper, is putting out a great gourmet spread. Tomorrow’s menu will feature several different pasta dishes, including both gluten-free and vegetarian options. Chef Spada has also kindly shared his signature Beef Bolognese recipe with us (below). Whether your pre-race includes joining us at the Pasta Supper or making your own feast, feed your body well! 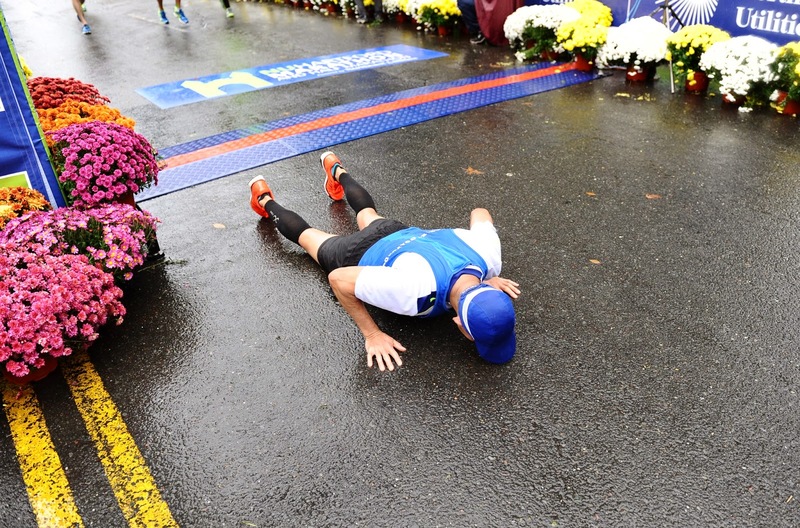 Some tips are included in this recent Runner's World post. Check out the menu board for race day - hungry yet? After crossing the finish line, runners will be directed to the Food Tent to choose what they want to eat instead of receiving food tote bags. The tent is expanded into two areas with multiple lines to keep the flow moving. Dole Fruit Bowls, homemade apple crisp, Truebars and bagels await. 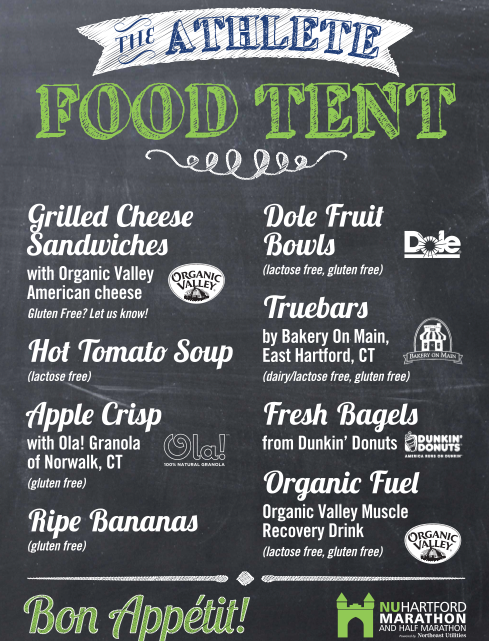 Enjoy your grilled cheese and lactose-free tomato soup with an organic recovery drink or a nice cold beer from the Harpoon Beer Garden, a favorite spot for 21+ (ID required). There are more than 70 kegs awaiting your arrival - just want to give an extra little nudge to get you to the finish line! -Add 1 tablespoon olive oil and add in ground beef. Season with salt and pepper and cook, continuously stirring until meat is golden brown. Remove meat and set aside in a bowl. -Sauté, onions, and celery until soft (about 5 minutes) on medium heat. -Add garlic and sauté for another minute, add tomato paste and let it caramelize in the pan. -Deglaze with red wine and white wine, cook off the alcohol. -Add chicken stock, peeled seedless tomatoes (pureed) and bring to a boil. -Add in the browned beef anise seed, bay leaves, sugar, crushed red pepper and reduce the heat to low and let simmer for three hours. Whether your friends and family have questioned your sanity as you went out on hours-long training runs, or you are part of a running circle who know the drill - everyone is happy to have friends or family cheering along on race day. This post is for your cheerleaders! We've got some tips for how they can get the most of their spectator experience. 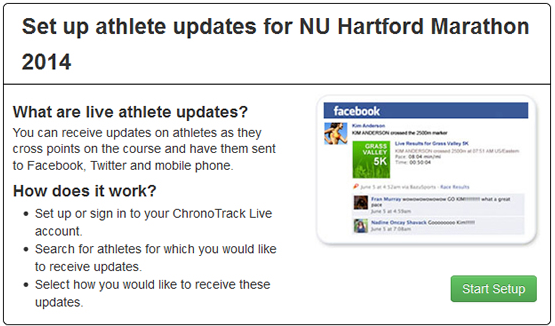 First off - sign up for athlete tracking TODAY. Don't wait until the morning of to sign up for alerts. Best bet is to sign up to track your athlete from a computer (not a mobile device) before race day. Also - make sure everyone is aware of road closures and parking! On race morning, enjoy the spectacular start on Capitol Ave. If your loved one is running the marathon (course map here), your next stop is Riverfront Plaza at the Founders Bridge for miles 4 and 6. Located just a half mile from Bushnell Park, you can (quickly!) walk there before your runner gets to mile 4 on the riverfront path. Then you can stay put and catch them again at mile 6 as they leave the city on the bridge. Once your runner passes mile 6, you can catch them again at Great River Park in East Hartford at mile 8. This is a beautiful waterfront park and great location to cheer on runners across the Founders Bridge Pedestrian walkway. From there, you can get creative to catch up with them again, but we do recommend trying to catch your marathoner at "The Wall", mile 20 on Old Main Street in South Windsor. The phenomenon of “The Wall” evades easy definition, but runner know it when you see it—or rather, hit it. Their pace slows, sometimes considerably. Some runners say that it feels as though their legs had been filled with lead, others can’t feel their feet at all. Thought processes become a little fuzzy. Muscle coordination goes out the window, and self-doubt casts a deep shadow over the soul. 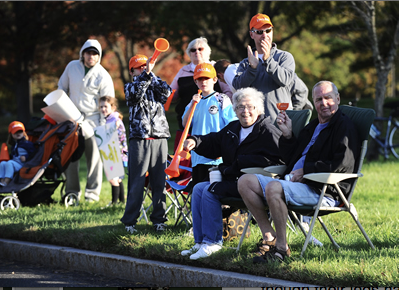 Runners sure need cheering spectators here! Easy access from I-91N onto I-291. Get back to Riverfront Plaza at the Founders Bridge, encourage them to finish strong as they cross back into the city at mile 25. This location is a Cheering Zone and is located just a half-mile from Bushnell Park. Cheer Zones - Along the course, Cheer Zones have music, fun and plenty of free cheering gear waiting for you. Cheer Zones located at marathon mile 4, 6 & 25; half marathon at mile 8.5. There's lot of entertainment to enjoy as well, check out the music scene by the mile here! If you're following your half marathoner (course map here), find them around mile 8.5 at St. Mary’s House (275 Steele Road, West Hartford). With the overwhelming support from St. Mary’s Home, we have moved the Cheer Zone to their campus! There is plenty of parking on the side streets off of Steele Road. You can catch them again around Half Marathon Mile 10 in Elizabeth Park off Asylum Avenue. Cheer on your runner amidst the flowers in the spectacular Rose Garden and surrounding formal gardens. Everybody needs to head back to Bushnell Park to watch their runner cross the finish under the Soldiers & Sailors Memorial Arch. They will cross the finish and then be routed around the corner onto Elm Street to enter the Finish Line Expo in Bushnell Park. If you lose your loved one, catch up at the Family Reunion area in the Park. Grab a bite to eat from one of the food trucks lined up on Elm Street or check with the Info tent for recommendations on local restaurants and coffee spots. Have fun - and we will see you on the starting line next year (we promise you'll want in on this once you experience NU Hartford as a spectator!). You run – we’ll take care of the rest. We’re working full speed to make it all come together as smoothly as possible for the 15,000 or so we expect to cross the finish in a few days. Whether you’ve run Hartford before or this is your first, we want you to enjoy everything we have to offer, here are some highlights! Psyching Team - If you have any concern about your mental game, let the Springfield College Running Psychology Team help. They will be wearing blue team hats at the Expo, on the course and post-race. The team is available to provide performance enhancement strategies for goal-setting, positive self-talk, energy management, relaxation techniques and positive affirmations to help you feel your best and ready to race! Chapter 126 Challenged Athletes Zone - This gathering place for disabled athletes and their guides is wheelchair accessible, allowing athletes to store regular wheelchairs and stage their racing chairs. We will have handicapped accessible portalets, baggage service as well as refreshments for athletes. 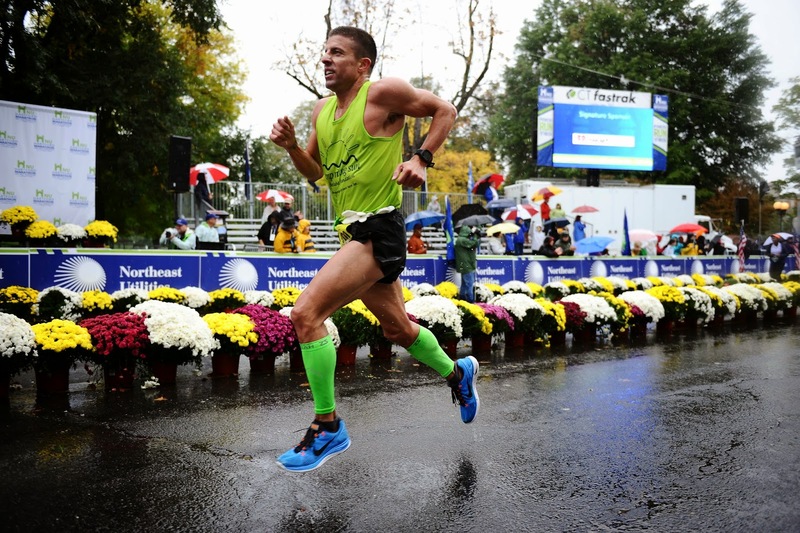 Pace teams - Pace leaders are offered for the NU Hartford Marathon and Half Marathon to help you achieve your goal time, 3:20 to 5:45 for the full and 1:30 to 3:00 for the half. They will wear yellow pace shirt and be holding their pace signs for the start. You can see photos of pace leaders and learn a little more about their pacing style and race day strategy through the pace team program link. 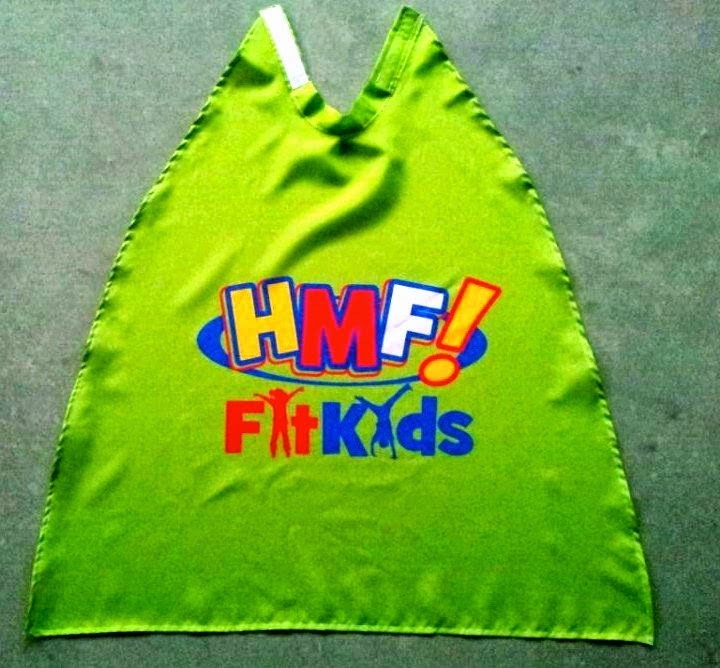 HMF FitKids - Children aged 2-11 can get in on race action! Distances are offered from 1/4 mile, 1/2 mile and mile and each child gets this cool Super Kid cape! Race starts at 9:30 am! Gear Check - We've also got the bag check at the Bushnell to drop your stuff in the clear bags provided with your packet. Please do NOT leave any bags unattended or carry baggage with you! Technology tools - Don’t forget to plug in and stay connected with the new NUhartford app. This will direct you on everything you need to know for race week. You can also sign up for Athlete Tracking services , when you cross the start, points on the course and finish updates will automatically be sent to your designated social networks or via Text message. NU Hartford race week festivities begin! Ahh..race week! Just as everyone in our office is sleep deprived and running on caffeine, we are happy to feed off the excitement of everyone around us. T-minus 5 days and there's a lot going on! We're making the NU Hartford Marathon celebration last longer with events to participate in for days. We've got Girls Night on Thursday at 7 pm. An open discussion with the legendary Kathrine Switzer, the first woman to run the Boston Marathon, and Molly Barker, founder of Girls on the Run. These women have empowered generations of women to become runners, let them inspire you. The Health & Fitness Expo at the XL Center on Thursday and Friday is the last opportunity for registration and packet pick-up. We know you know, but we have to tell you again - you CANNOT come down on race day and run if you haven't registered or picked up your race bib by Friday at 9:00 pm. The Expo will feature about 70 booths with the latest in running technology, sports apparel, training tips, lots of free samples, and health and nutrition products. 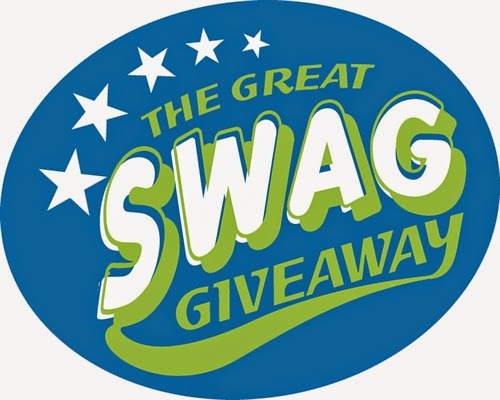 We also have the Great Swag Giveaway, gift certificates and prizes being raffled throughout the day. People can come down to learn more about the race courses and get tips from the experts - we have a free Health & Performance Symposium with Hartford Hospital. On Friday, we will have Yoga in the Park for Runners at Bushnell Park at noon. A great drop-in yoga class hosted by Downtown Yoga. 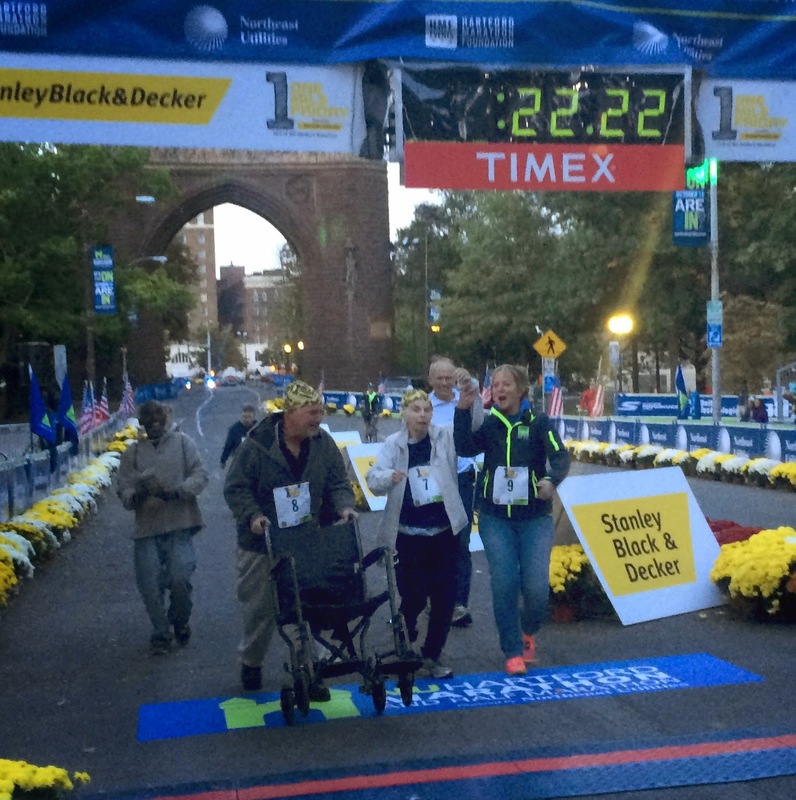 New this year we have One Mile Friday, presented by Stanley Black & Decker. This evening shake-out run will help prep you for race day. If you're not running Saturday, you can catch a little of the NU Hartford excitement Friday night running through downtown. You have to register, and all participants receive a fluorescent hoorag and a cold brew from the Harpoon Beer Garden, which is open from 6-8pm. And we have to get everyone carb loaded for race day. The Pasta Supper at The Hartford Club. Come on down, seatings starts at 6:30. There's a great menu with several pasta dishes, including a gluten-free and veggie option, fresh salad, artisan breads, delectable dessert and beverages.